Okay, so some of the other “human 350″s in the other 5000 events were a little clearer. 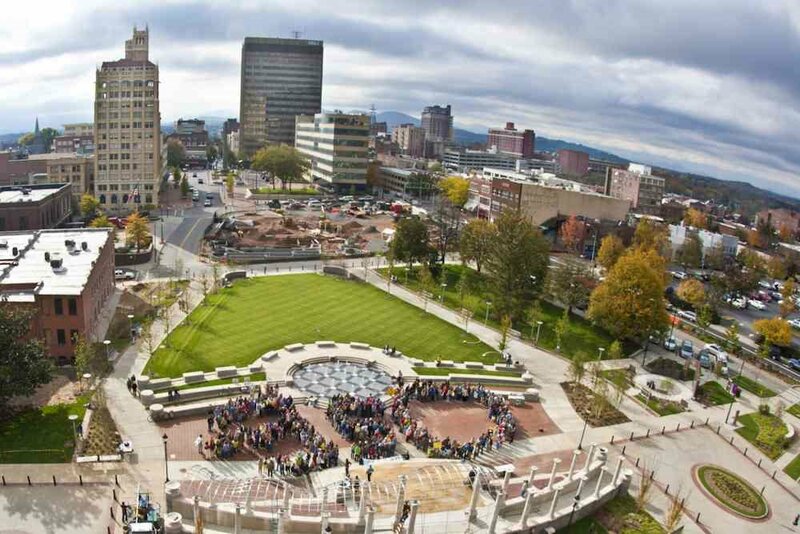 But the Asheville, North Carolina, USA crowd was spirited and much bigger than we expected. Hundreds gathered to support aiming towards a goal of 350 ppm for CO2 in the atmosphere. I gave an 8 minute speech on a theme I’ve picked up from Beth Sawin and Peter Senge — the gift of climate change. IE, all the important things we are doing to address climate change that happen to be a good idea anyways (e.g., getting off of oil and coal, saving money, eating better, cooperating internationally, slowing down). 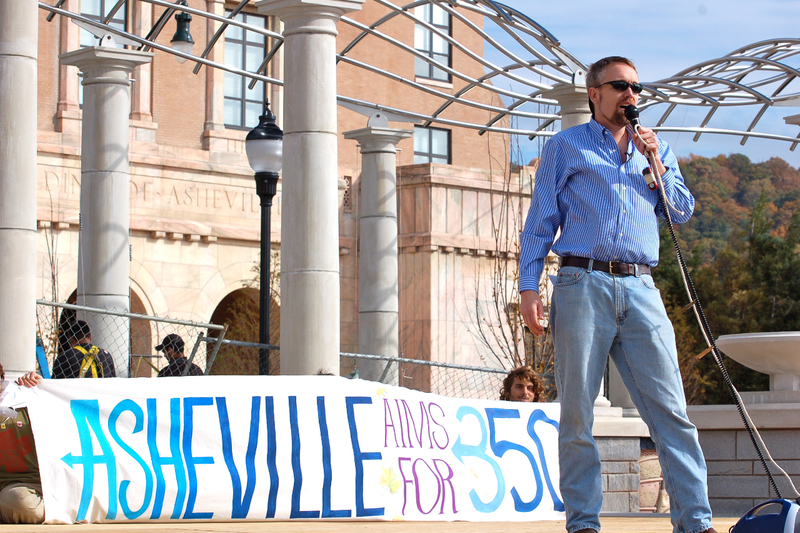 Mayor Terry Bellamy and City Councilman Brownie Newman talked about all the City of Asheville is doing to save energy. And UNC Asheville student and Sustain US youth delegate-to-Copenhagen Ellie Johnston tugged at our heart strings talking about what we can do for the 3 billion people on Earth who are under 24.